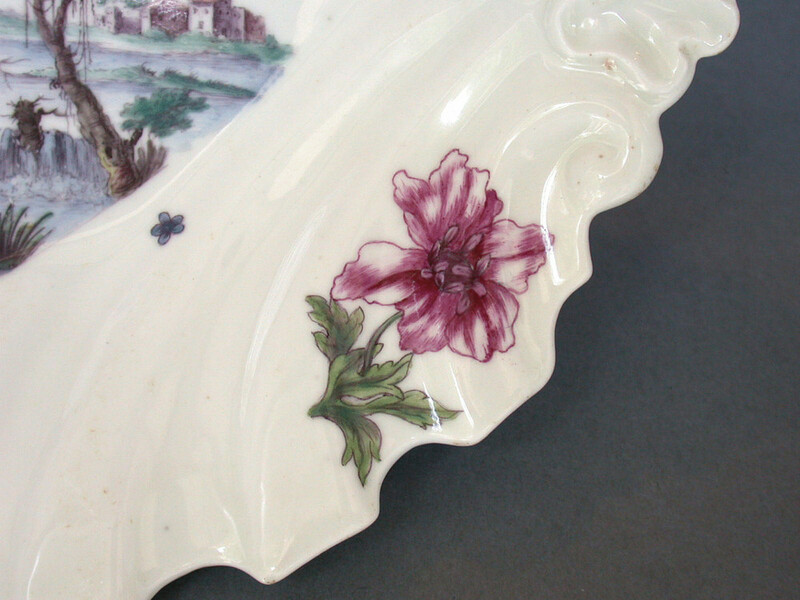 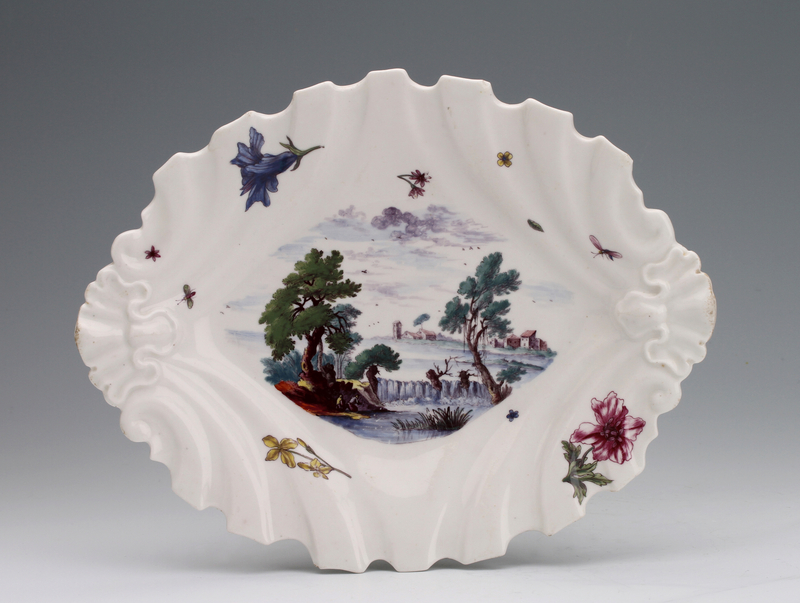 A Chelsea silver-shaped dish painted with a riverscape and flowers. 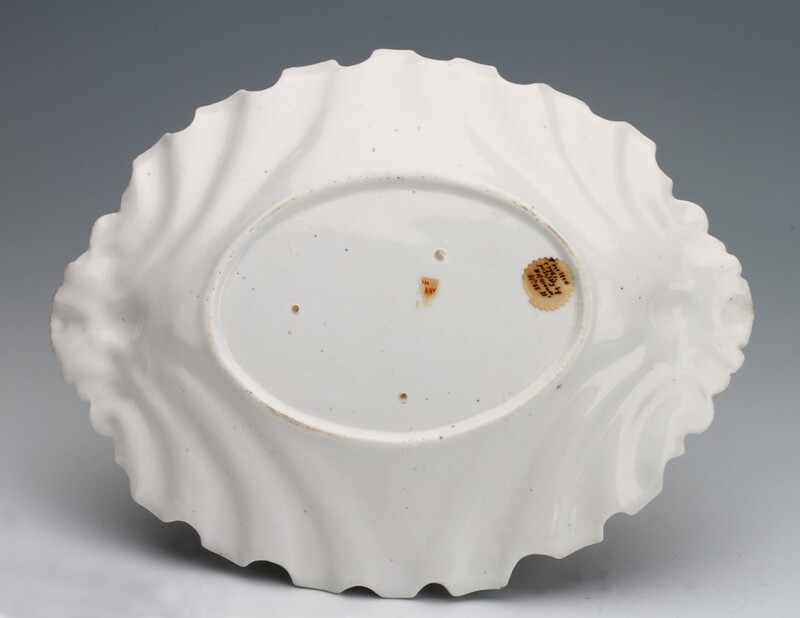 Condition – Minute enamel flakes. 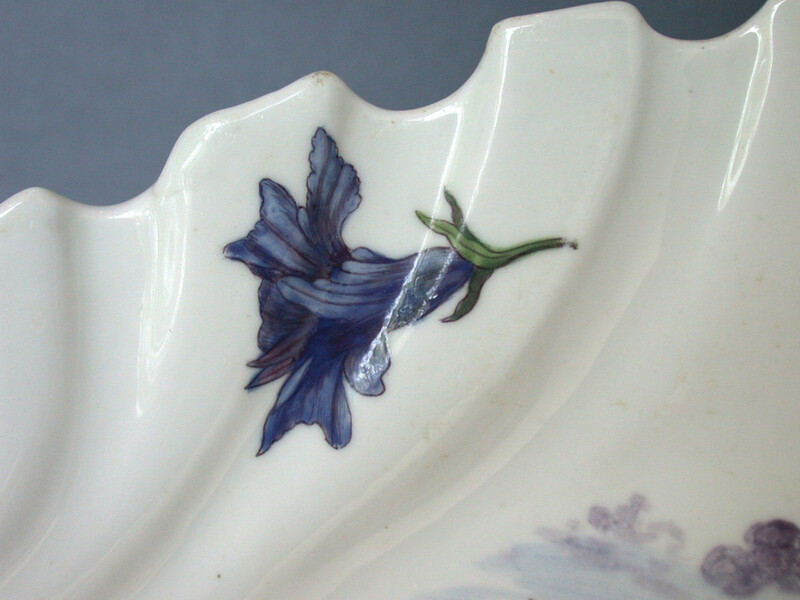 Three small border chips occurred before firing.